Hinckley & Bosworth Borough Council have opted for contract hire rather than outright purchase to replace their waste and recycling fleet, following a comprehensive cost comparison and tender procurement process. The incumbent supplier, Specialist Fleet Services Ltd (SFS) was successful in delivering the winning bid, which was based primarily on price. The new 7-year contract starts on 1 September and comprises the provision of 20 vehicles, including Refuse Collection Vehicles, sweepers, hook loaders and box vans. SFS will continue to maintain the vehicles at the council’s depot in Hinckley. The council used to outsource its dry recycling service but has decided to bring it back in-house. From 1 April 2018 the council will be collecting co-mingled recyclables from local households. 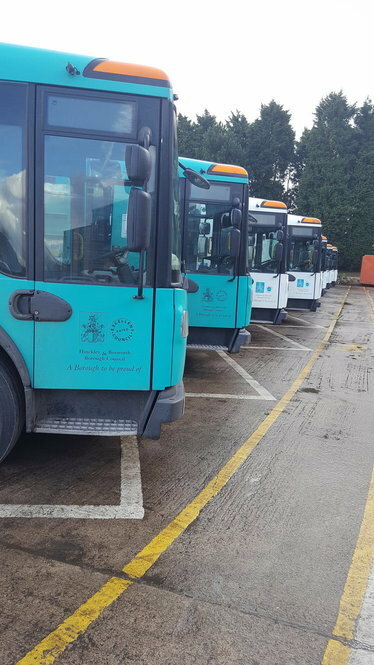 SFS is helping the council through interim arrangements including the provision of 5 brand new recycling vehicles, via its municipal vehicle hire division CTS Hire. SFS has been delivering contract hire, fleet and workshop management solutions to the public and private sector since 1992. With a network of workshops and its own municipal vehicle hire division (CTS Hire), SFS can provide the full range of vehicle and plant solutions from short-term vehicle hire to meeting the most complex fleet requirements.